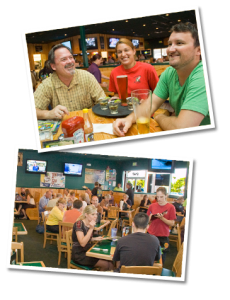 Want to know where in Orlando you can cheer on your favorite hometown NFL team like the Green Bay Packers, Pittsburgh Steelers, Chicago Bears, New York Jets, New York Giants, Buffalo Bills, New England Patriots, Cleveland Browns, Miami Dolphins, and Tampa Bay Buccaneers (Bucs)? Kelly Fitzpatrick of the Orlando Sentinel recently released a list of the preferred teams at several of the sports bars around the city. Click Here to find out where you can cheer on your favorite NFL team in Orlando with other fans from the sentinel. 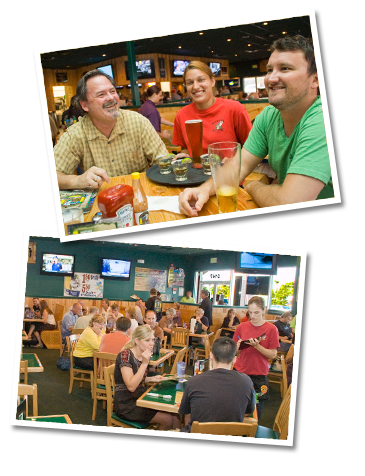 Some other sports bars to check out for NFL games that show multiple games are the Red Star Tavern, Buffalo Wild Wings (several locations), Gators Dockside, BJ’s Restaurant, ESPN Club(Disney), and NASCAR Sports Grille (Universal). Please add any others that you know about in the comments section below. This entry was posted in Restaurants and tagged bars, sports. Bookmark the permalink.